Mar. 26th, Shenzhen, FS.COM News – This week, FS.COM has launched a new product in 120G active optical cable (AOC) category. This new AOC cable is with the 120GBASE CXP to 3x 40G QSFP+ Breakout design which is a high performance, low power consumption, long reach interconnect solution supporting 120G Ethernet, fiber channel and PCIe. In 2015, the increasing demands of high speed data transmission guides 100G Ethernet development into a new stage and height. Actually, 100G had accounted for over half of all bandwidth deployed in carrier networks in 2014. At the same time, the development of 100G Ethernet is getting higher and higher in the request of cost-effective equipment and optical components. 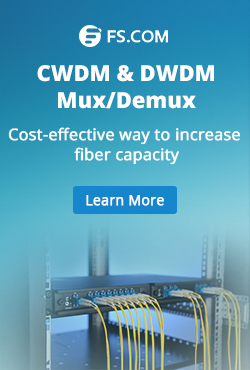 Fiber connectivity in higher-speed active equipment is being condensed and simplified with plug-and-play, hot-swap transceiver miniaturization, thus, 100G optical transceivers, or active optical cables etc. have been putting into using and has a vast market. The global, vertically-integrated business model and expertise in optical design enables FS.COM to rapidly deliver market-leading, high performance fiber optic components and subsystems. We would like to perfect the quantity and quality of 100GbE optical product constantly, and do our best to offer the most cost-effective 100GbE solutions for our customers. Last week, a new product 100Gbase-10SR CXP had been launched in 100G Transceiver category. Following this update, FS.COM has launched the 120GBASE CXP to 3x 40G QSFP+ breakout active optical cable (AOC) this week. Compared to the traditional 120G CXP AOC, the 120G CXP to 3 x 40G QSFP+ Breakout AOC provides connectivity between devices using CXP port on one end and 40G QSFP+ on the other end so that it can provide the ability for 120Gb systems to connect to 40Gb switches or adapter cards. FS.COM offers high-quality 100% compatible 120G CXP to 3 x 40G QSFP Breakout AOC with major brands like Cisco, Juniper, Enterasys, Extreme, H3C and so on. The 120G CXP to 3 x 40G QSFP breakout AOC now on sale is in 1M (i.e., 3.3ft) length. If you want to order this product in other length, please contact FS.COM team directly. FS.COM is a professional manufacturer and supplier of optical networking products. 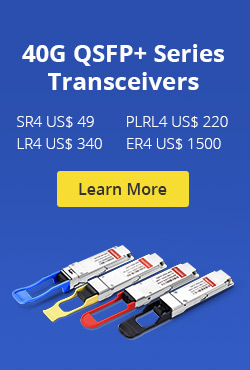 We can supply 100% compatible Fiber Optic Transceiver modules and direct attach cables compatible with many brands with a incredible discount for 10GbE to 40GbE, or even 100GbE applications. In addition, according to your requirements, we welcome any inquiry for customized fiber optical transceiver or direct attach cables. FS.COM aim is to offer the best quality products and perfect solutions, to save customers’s time & money, and to make customers enjoy personalization. This entry was posted in FIberstore News and tagged 120G Active Optical Cable on March 28, 2015 by Admin. According to our experience, they are so many customers will ask whether Fiberstore’s sfp modules are compatibile with Cisco, Juniper, HP, Extreme, Huawei, Nortel, Netgear and other brands when they query for them. To be honest, Fiberstore can provide SFP modules which can comaptible with one of these brands. But there is no” YES” or “NO” answered to the question of Cisco/Juniper/HP etc compatibility; it depends on the manufacturer’s equipment. Best recommendation is to field try any alternative party component first. Compatibility has nothing regarding the functions of the transceiver, only in recognizing ID code and selecting to lock out alternative party SFP or not. All Fiberstore’s SFP are manufactured relative to SFF (the Small Form Factor consortium). SFP introduced “manufacturer coding” within the transceiver. The idea of having html coding was actually meant for network management software to be able to ‘inventory’ the pluggable adventures within the network. However Cisco and some other appliance manufactures (Alcatel is another), used the html coding scheme to lock out all the other alternative party transceivers except those that had the same host equipment’s ID code. Basically this allowed Cisco yet others to monopolize the transceivers for their equipment and charge three to five times the market value for those transceivers. Now Fiberstore help all the dealers solve the problem and help all of your save three or five times of the cost. Welcome you visit internet. fs.com for more detail! This entry was posted in FIberstore News, Optical Transceiver Solution and tagged Cisco, HP SFP, Juniper, SFP modules on July 28, 2014 by Admin. The SY88053CL enable user adjustable decision threshold adjustment for optimized Bit Erro Rate operation in noisy applications with asymmetrical noise distribution while the SY880563CL provides a user selectable Digital Offset Correction function that automatically compensates for internal device offsets in the high speed data path. Other features include multi-rate 1Gbps to 12.5Gpbs operations, optional LOS or SD output, selectable RXOUT +/ RXOUT- signal polarity (SY88053CL) and 25ps typical rise / fall time. Beyond the current customer demand through increased performance margins, improved manufacturability of the module, while reducing costs. By increasing each node and the downstream branch exceeds 512ns link budget margin established, to improve the efficiency and data throughput of the link. By optimizing in a noisy environment and the error rate or RAMAN EDFA Optical Fiber Amplifier noise characteristics of asymmetric compensation, expanding the system extends the scope to improve the data throughput. This entry was posted in Copper Network, FIberstore News and tagged FiberStore, Micrel, Optical Amplifier on August 19, 2013 by Admin. Summary: Moratel deployed BTI’s “metro network solutions” and “Ethernet business service solutions” to build multi-service networks for Indonesia’s largest mobile operators. BTY Systems, the software and networking leader empower content and service providers to capitalize on trends in cloud services, mobility and Internet video, today announced that PT Mora Telematika Indonesia (Moratel) has deployed BTI’s Metro Networking and Ethernet Business Services Solutions to create a multiservice network for Indonesia’s top mobile operator. The deployment, stretching from Pekanbaru to Singapore, will serve as a network model for comparable future applications in six other Indonesian cities. BTI worked with local partner PT Interprima Indocomm on the deployment. Established in 2000, Moratel is a wholesale telecom infrastructure provider. Headquartered in Indonesia, Moratel serves Tier-1 carriers including the country’s leading mobile operator, which sought to develop a multiservice network that could handle Ethernet, SDH/SONET and DWDM — all on the same platform. Moratel selected BTI for the project because its innovative, scalable solutions support multiprotocol packet and optical services, and are extremely easy to learn and fast to deploy. The core component of BTI’s Metro Networking Solutions is the BTI 7000 Series, a compact, modular and easy-to-use intelligent networking infrastructure system. Providing large scalability, a flexible infrastructure and greater reach, it converges packet and optical layers for simplified management, easier provisioning and faster time-to-service. And featuring a pay-as-you grow model. The BTI 7000 series enables users to easily develop and capitalize on new business opportunities. This entry was posted in FIberstore News, Network Solutions and tagged BTI Systems, FiberStore, Moratel on July 23, 2013 by Admin. While the latest Digital Agenda Scoreboard released this past June 12 shows that Europe is making progress toward the European Commission’s broadband access goals, many countries on the continent are using the wrong approach, says the FTTH Council Europe. The reliance in several areas on upgraded copper-based networks, typically fiber to the cabinet (FTTC) architectures, limits Europe’s long-term broadband growth prospects, the Council believes. Worse, the way the Digital Agenda defines next-generation access (NGA) encourages this mistake, council spokespeople assert. Therefore, the Commission should be working to make it easier for carriers to afford the expense of fiber to the home if they really want a level technological playing field, the council believes. “We need a greater emphasis on future-proof fiber networks and need to facilitate new models of financing,” Tauber says by way of example. Such new financing models are essential because the FTTH Council Europe estimates it would take €200 billion to deploy FTTH across the EU and meet the Digital Agenda’s targets. These goals include ensuring that half of European Union households subscribe to broadband services that support download speeds of more than 100 Mbps. Raising the 200 billion would require investments from outside the telecom sector, paired with what the council referred to in the press release as “major regulatory reform.” Yet the European Commission has yet to forward such proposals, the FTTH Council states. This entry was posted in FIberstore News, Network Solutions and tagged fiber to the home, FiberStore on July 22, 2013 by Admin.